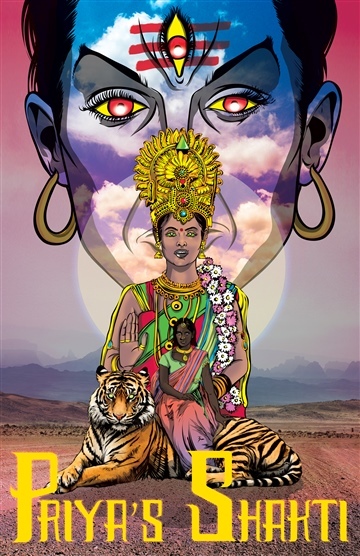 A mortal woman and the Goddess Parvati fight against sexual violence in India and around the world in this vivid epic augmented reality comic book involving the Lord Shiva and the gods. Received the Tribeca Film Institute New Media Fund from Ford Foundation. Ram Devineni is a filmmaker, publisher and founder of Rattapallax films, press and magazine based in New York City, Sao Paulo and New Delhi. He produced, edited and directed the feature documentary The Human Tower, which was shot in India, Chile, and Spain. Recently, he produced Amir Naderi’s feature film, Vegas: Based on a True Story, which premiered at the Venice & Tribeca Film Festivals. Devineni is one of the founding partners of Academia Internacional de Cinema, the first independent film school in Brazil.